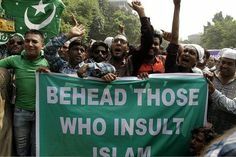 The Pakistan Penal Code, the main judicial law of Pakistan, prohibits blasphemy (Urdu: قانون توہین رسالت‎) against Islam, providing penalties ranging from a fine to death. Since 1990, nearly 70 people have been executed, lynched or murdered as a result of blasphemy allegations and many more are awaiting sentence." Lahore, Jan.23.– There are nearly 200 cases of Christians in Pakistan charged with blasphemy – the controversial law made famous by Asia Bibi, according to a January 23, 2019, report by Aid to the Church in Need (ACN). Un político mira a las próximas elecciones. Un estadista mira a la próxima generación. The US Commission on International Religious Freedom (USCIRF) is an independent, bipartisan U.S. federal government commission, created in 1998 by the International Religios Freedom Act (IRFA). USCIRF Commissioners are appointed by the President and the leadership of both political parties in the Senate and the House of Representatives. USCIRF's principal responsibilities are to review the facts and circumstances of violations of religious freedom internationally and to make policy recommendations to the President, the Secretary of State and Congress. These recommendations are formally presented through USCIRF's Annual Report. The Department of State submits these reports to Congress in compliance with Section 102(b) of the International Religious Freedom Act (IRFA) of 1998. The law provides that the Secretary of State, with the assistance of the Ambassador at Large for International Religious Freedom, shall transmit to Congress "an Annual Report on International Religious Freedom supplementing the most recent Human Rights Reports by providing additional detailed information with respect to matters involving international religious freedom." Reports are available to the public (click on the titles below) and institutions may get free hard copies if requested. Country chapters begin with a one-page overview of USCIRF's findings, the reasons for the country's designation by USCIRF, and priority recommendations for action. Each chapter documents events that took place over the reporting period, discusses relevant legal and human rights issues, emphasizes important elements of the bilateral relationship with the U.S., and details recommendations that would promote freedom of thought, conscience, religion or belief. The USCIRF released on April 28 its 2011 Annual Report and recommended that the Secretary of State name the following nations "countries of particular concern" or CPCs: Burma, China, Egypt, Eritrea, Iran, Iraq, Nigeria, North Korea, Pakistan, Saudi Arabia, Sudan, Turkmenistan, Uzbekistan, and Vietnam. CPCs are "nations whose conduct marks them as the world's worst religious freedom violators and human rights abusers."